The UK should be prepared to relax EU rules on food standards and chemical safety as part of a new trading relationship with India, according to an unreleased report (pdf - 20 MB) by the British and Indian governments. The official joint trade review – obtained by Unearthed despite the UK government’s refusal to release it – spotlights a range of non-tariff barriers to trade identified by Indian businesses, including limits on fungicides in basmati rice, the enforcement of food hygiene standards for milk and dairy products such as paneer and the use of hormone-disrupting chemicals across a range of non-food products. The list – drafted by the Indian ministry of commerce – stops short of demanding the rules be removed after Brexit, instead suggesting flexibility in how and when they are applied to meet the needs of exporters. The review, which also focused on life sciences and information technology, was described by the British government as a key text for the new UK-India trade partnership announced in April at the Commonwealth summit. Speaking at the event, international trade secretary Liam Fox claimed that “removing barriers to trade is a key way the UK can capitalise on the predicted growth in world markets”. He repeated the claim when speaking in India last month. Despite numerous public references to the review by Fox, the British government refused to provide the document following an Unearthed freedom of information request. The Indian government, however, complied with a parallel right to information request. A spokesperson for British department of international trade said: “As we leave the EU, we will forge new and ambitious trade links around the world, while also maintaining our high standards on animal welfare and food safety. The UK would be unable to address India’s key complaints in the trade review under the terms of its proposed Brexit white paper, experts have told Unearthed. “Theresa May’s Chequers’ proposal would prevent the UK from making concessions to India in all areas related to plant and animal health, as it would continue to be bound to the application of the EU’s regime,” according to Sam Lowe, trade analyst for the Centre for European Reform. The UK is not allowed to begin negotiating trade agreements with countries until it has formally left the EU in 2019, and the language of the report is not explicit about a post-Brexit agreement nor about the EU laws the UK could cease to follow. The report’s conclusion notes “the UK’s existing framework as an EU member state means that many issues remains within EU competence” but it devotes pages upon pages to complaints concerning trade barriers that stem from European law. The final recommendations are far from concrete, and instead amount to repeated suggestions to increased dialogue on how the issues can be addressed. 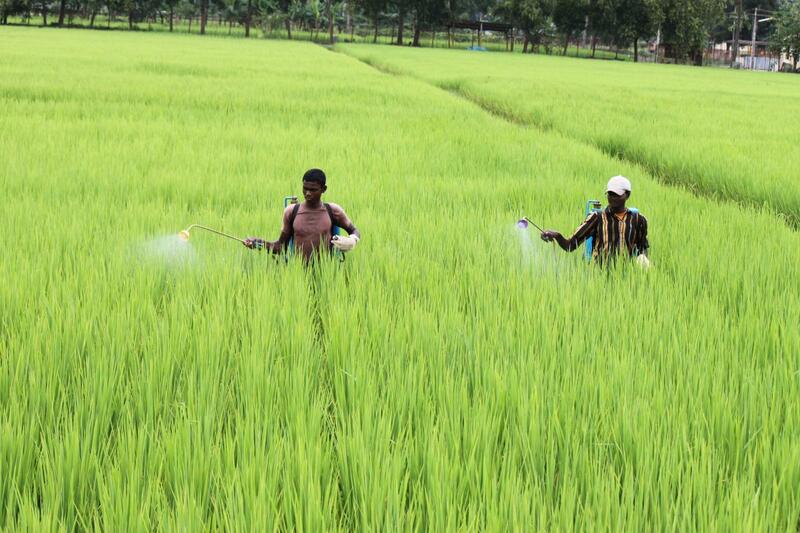 According to the chapter on non-tariff trade barriers written by Indian policymakers, the main issues concern the EU’s limits on the trace amounts of pesticides in food products, its restrictions on hormone-disrupting chemicals, and the burden of its complex REACH chemical regulations. Another key complaint relates to the EU’s attempts to regulate hormone-altering chemicals known as endocrine disruptors in non-food products such as toys, with 34 of the 69 products impacted said to have a direct effect on India. And then there’s REACH, the EU’s vast and complex regulatory regime for chemicals, that India has frequently challenged at the World Trade Organisation. The report states that: “Indian exporters experience various difficulties in complying with REACH” and then goes on to list its long-held bugbears. The report cites an assortment of other complaints with a range of EU rules, such as lead limits in jewellery. The release of the report comes at a pivotal moment in the UK’s separation from the European Union, as the British government officialises the type of Brexit it will pursue in its long-awaited white paper. The current proposal, which would see alignment with EU standards on goods and agri-food but not services, has triggered an uproar from the pro-Brexit press and key figures, leading to the resignation of David Davis and Boris Johnson and several less-known ministers. But other key ministers – including Fox – remain in place, with the UK still nominally committed to a policy of signing trade deals with countries around the world. The report will lead to an increased focus on how much flexibility the UK will now have to meet demands from India and other nations regarding chemical and food import standards.